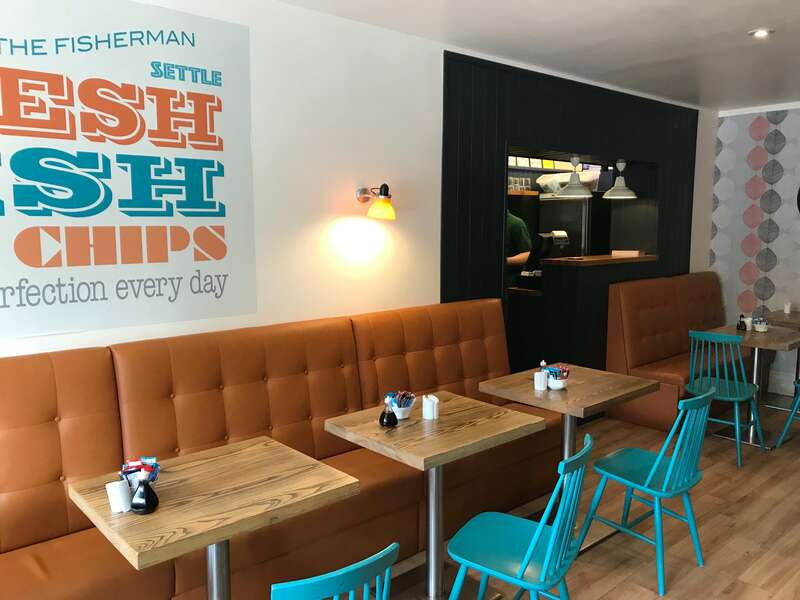 I have mentioned this Fish & Chip restaurant several times in other articles but it really needs to be added to the @tasteem database as it’s quite exceptional. 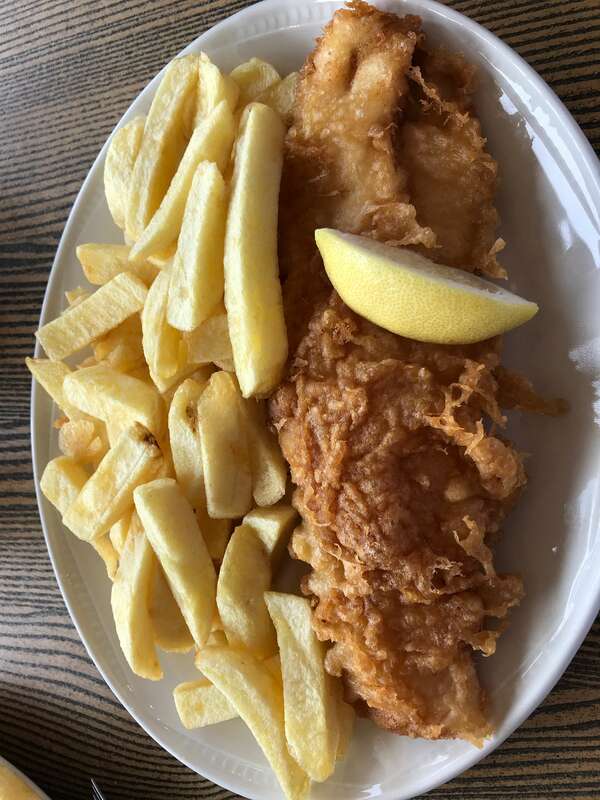 Fish & Chips is considered a staple food in the United Kingdom, and like it or not we are famous for this quite unhealthy dish. 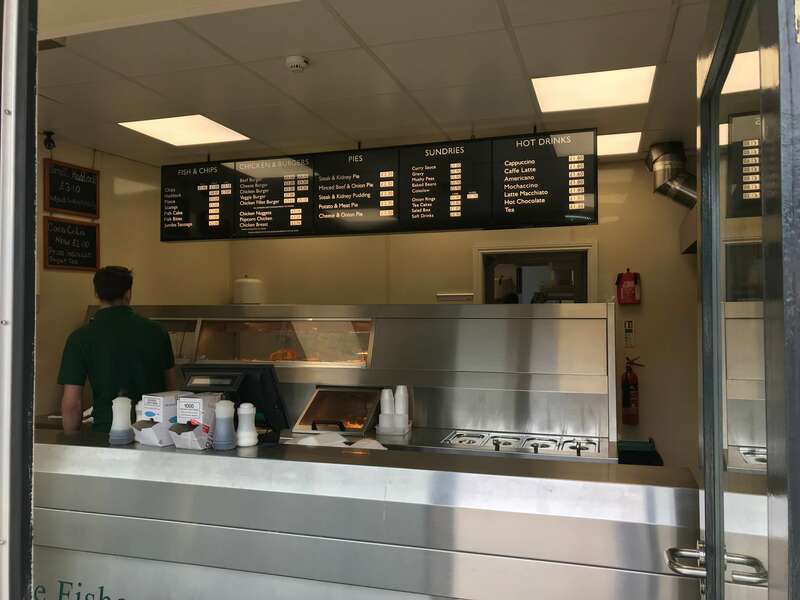 Finding a good ‘chippy’ however is very hard in today’s times. There are lots about but most are average at best and there are some truly terrible ones. The Fisherman at Settle in North Yorkshire is truly the best I have ever eaten. For us to visit it’s a 45 minute journey and we have made that journey just to eat here before. 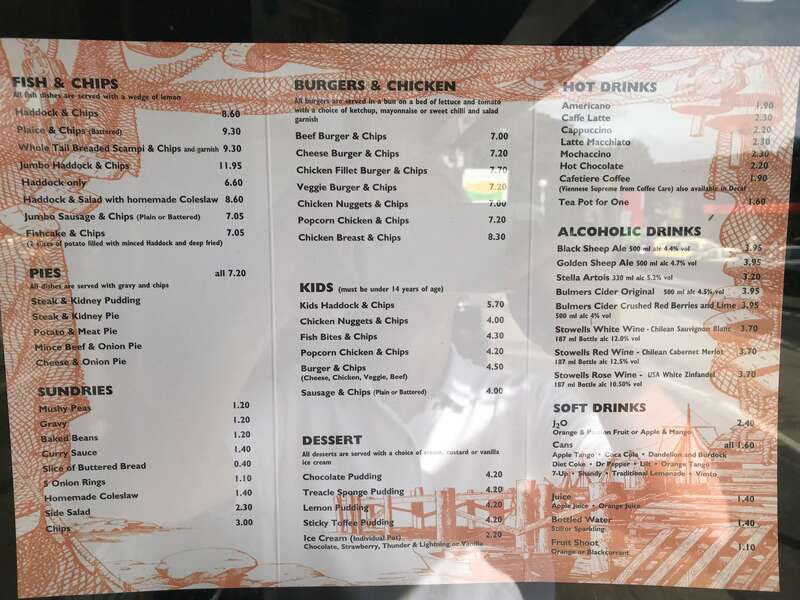 I can’t say I have tried anything else than, ‘Fish & Chips’ from the menu, but there are plenty of other things to choose from. 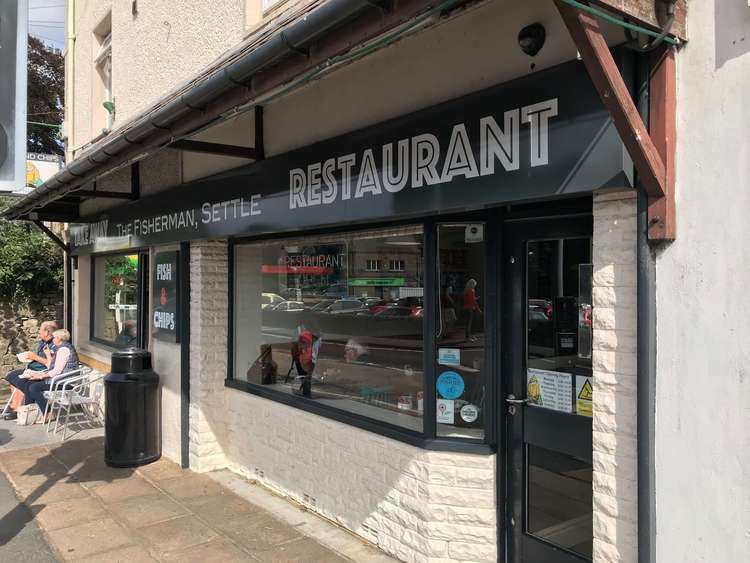 The outside is nothing special and has a take-away attached to the left side of the restaurant. We have always eaten inside so I can’t speak for this. Inside is relatively small, but never empty despite the photograph. The other side of the restaurant was quite full. Just look at those Fish and Chips. Every time we eat them, we depart feeling fulfilled and quite sustained. @bingbabe is a native of the Philippines and just loves eating here. She only said to me after today’s helping, ‘they are so good!’. 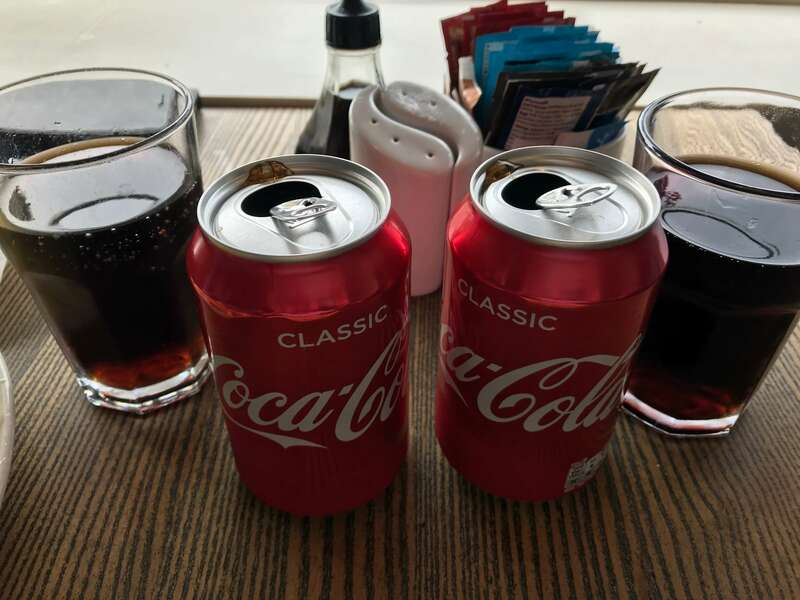 You just need to drink a full fat coke to go with this kind of food and don’t forget the malt vinegar. I personally douse my chips with this stuff as it makes all the difference. 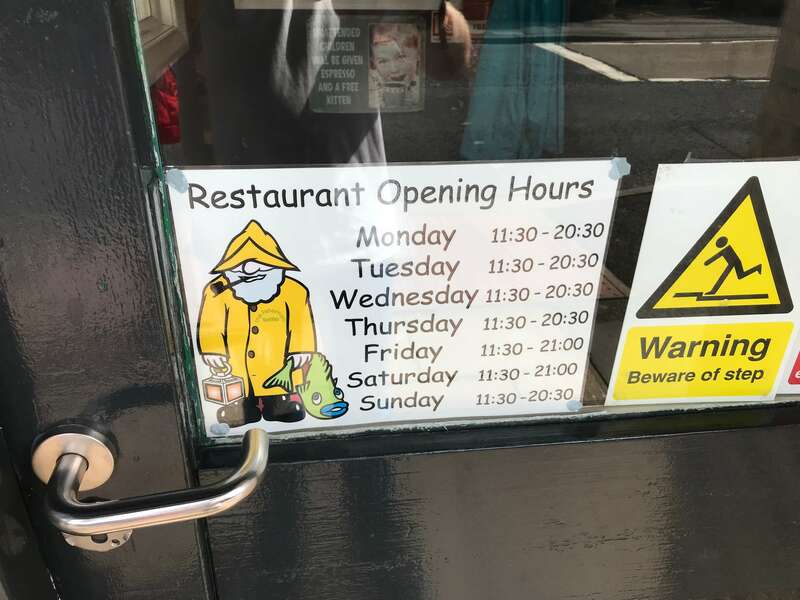 The restaurant is open EVERY day unlike some, and two helpings of Fish and Chips with two cokes set us back a cool £20.40. Great value in my opinion for food of the highest quality! 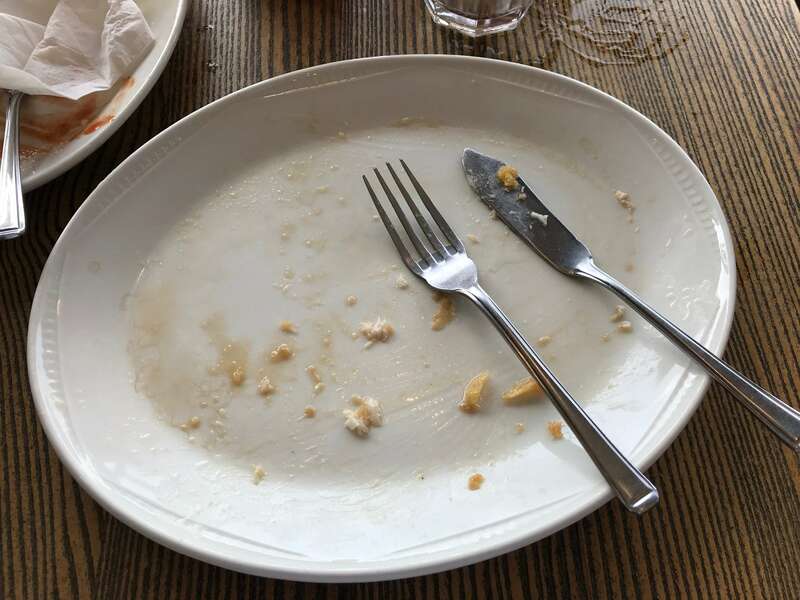 You can see my plate is empty, a very familiar sight when departing from the Fisherman, Settle. I’m not sure about this sign. It looks like it’s from the fifties and genuinely looks that old! Hello, Minnow Support included in voting bot category. Usually I suppose to cancel your reward but as you are not on my blacklist, I will just give you a warning this time. For the future if this happens again, your reward will be cancelled. OK, understood. I didn't realise this one was included. Thank you for entering our <Your weekly choice > Contest . Thanks to @slobberchops, Tasteem has become a more attractive guide. We upvote your post, wish you the best of luck in winning our Contest! I haven't had a good fish and chips in around 25 years. Never been that lucky with chippies in London. The last good one was when I was in Leeds (I lived in Bradford for a couple of years). I have to say I'm very biased toward Yorkshire chippies. They simply have no equal, so I can quite believe what you say about the Leeds one. I had the suspicion as well that it might just have been unlucky. Hopefully next time in the UK I will get to try it:) My sister was in Yorkshire for two months. She loved them as well she said. Hahaha I love that sign! xD We had fish and chips yesterday too, but I am sure they weren't as nice as yours, they sound and look lovely! Not sure about the full fat coke though, we had Pepsi Max ;) Great write up! Its gotta be the fat stuff, I don't get on with max, though coke zero I can abide. Nice write up! The food looks amazing. Which item on the menu was the one you pictured? Was that the haddock and chips? Or was it the jumbo? It makes me want to hop on a plane over there for sure! I am planning on getting some fish tonight as well, but mine will be a little different. LOL, its the regular Fish and Chips. I can't eat jumbo sized food, my appetite isn't what it was. I hear you there! Thanks for clarifying. Since it filled the whole plate I would have guessed that was the jumbo! Good review, but you didn't point out the ridiculous prices. I've had fish and chips just as good, but for half the price. Ah but was that take away? Sit in is always more. Yep. There is excellent fish and chips at a restaurant in Halifax on the main street that I used to go for Friday lunch at quite often when working there. 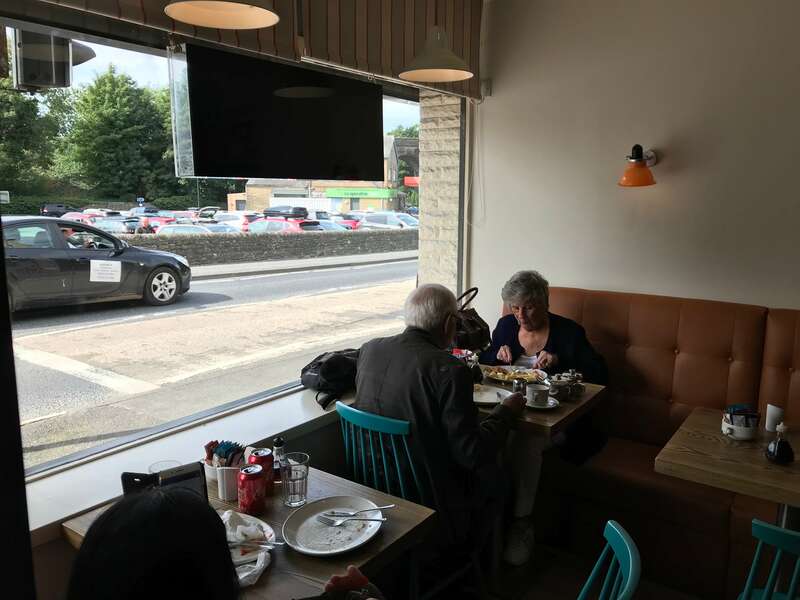 Also, Banny's in Burnley is a sit-down restaurant that even does gluten free batter at around £5 including chips. Halifax is in Yorkshire. One step over the border, and F&C gets 3000% better. Bannys in Burnley, I have tried it more than once and no thanks. The one in Colne is better. One in Burnley is good if you go at the right time. Don't go at night after 7:30pm as the nearer it gets to closing at 9pm the worse it gets. I don't agree with the Yorkshire comment. Always preferred Lancashire F&C. Though this place in Skipton is excellent if you are ever up there. I think I have eaten here, and if its the same place.. its excellent. Ill have to try and not eat there every lunch from Monday. For takeaways, Belfields is pretty good on Parliament Street (Near Iain). Nearer to home Holloways on the corner of Briercliffe Road / Towneley Street is excellent too (and my regular). Average review score is 4.7 on Google. You are lucky to have a local good one. I have tried many in my area, even ones reviewed as 'great' are just average to me. I'm working in Skipton from next week, which is in the county of Yorkshire, which in turn has the best chips IMO. In fact there's one in the town which is quite amazing. Good news. This was given by hand and not by a bot. You have received this as motivation from us, so you can keep going on with your great dishes. We are looking forward to see you soon on our discord server https://discord.gg/XE5fYnk , so we can exchange fresh new recipes and delicious meals with each other 🌮🍔🍩. Thanks @steemkitchen, but I don't see a vote from you anywhere. I LOVE fish and chips. You are right, it is so hard to find someone who makes a good dish! This looks very tasty, have to add the malt vinegar too. The sign makes it! 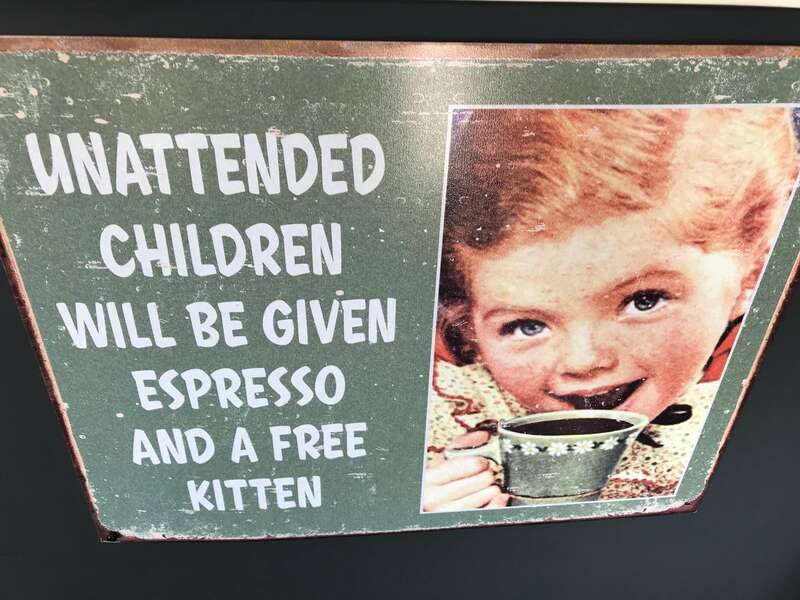 "give your child an expresso and a kitten"- classic! Thanks @slobberchops! I love a good fish and chips... But we overdosed on the chips part during our holiday in England! However, after living in Netherlands, I have gotten really used to the Dutch version of fried fish! You should jump over the channel and try it out! I will try it if and when I get there again. Is it just called, 'fried fish' and where to get it from? Lekkerbekken is the fillet and kibbeling is the smaller chunks. It also depends where you go, some do it too greasy, the best is ones that are freshly battered. The batter is flavoured somehow... And it is made of cod. Man, that looks like my kind of place! Thanks for sharing it. The best fish and chips I've found is in a little resort town on Lake Superior. The Sportsman Tavern features locally caught Walleye for the fish, and has three sizes available. Large please. With Malt Vinegar, I might add. 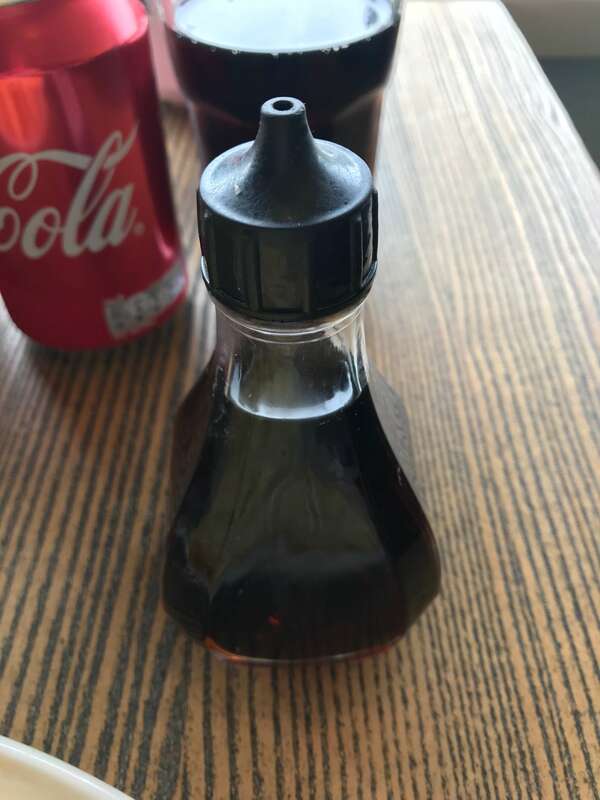 Well.... malt vinegar in the US? I looked and looked when I lived in Phoenix, to no avail, unless you count Long John Silver's which is dire. Good calls on both counts! Do visit the Fisherman, as I would be interested to hear your verdict. Congratulations! This post has been upvoted from the communal account, @minnowsupport, by Slobberchops from the Minnow Support Project. It's a witness project run by aggroed, ausbitbank, teamsteem, someguy123, neoxian, followbtcnews, and netuoso. The goal is to help Steemit grow by supporting Minnows. Please find us at the Peace, Abundance, and Liberty Network (PALnet) Discord Channel. It's a completely public and open space to all members of the Steemit community who voluntarily choose to be there.